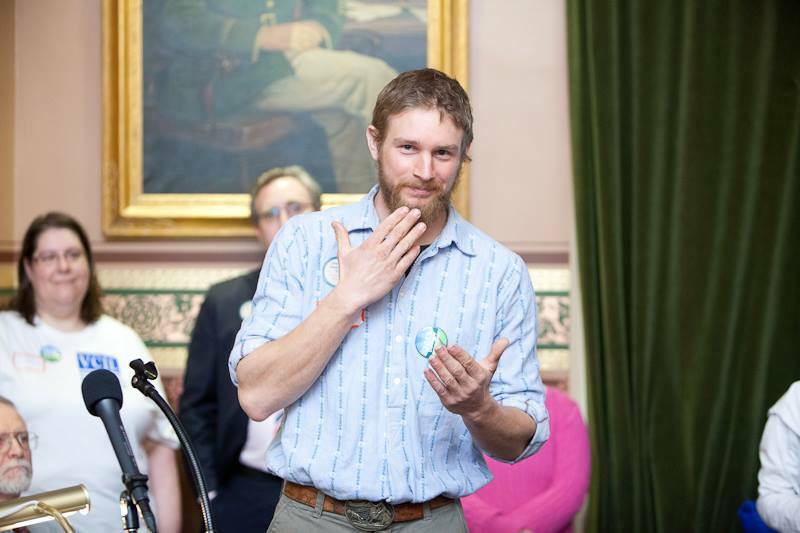 I don’t know if it was clear in my last blog posting but I didn’t make it to Disability Awareness Day at the Vermont Statehouse in person because I was down in the dumps about my life. I am sure every one of you can relate to those mental health moments when you close in on yourself. Today Emily and Brian told me about a great guy I missed seeing speak. 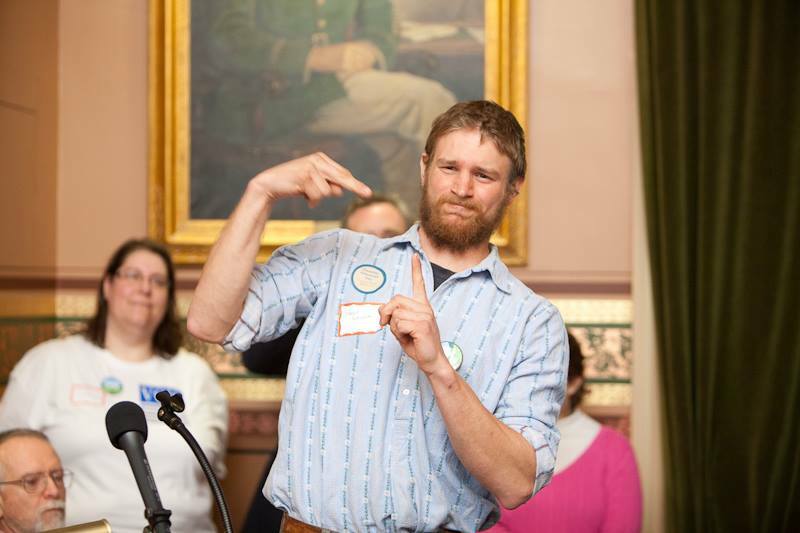 He is a member of the Deaf community in Vermont. Joyful and tearful Emily was as she read a copy of his statement. He is a young farmer and he is an old wise, wide thinker. I have a copy of his words. Please check them out below. I hope you had a wonderful holiday weekend. 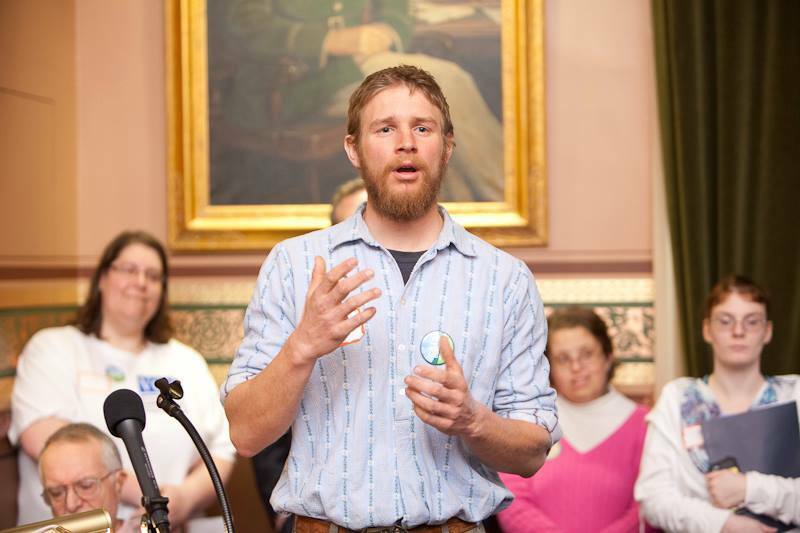 First of all, why should we support people with needs in Vermont? I'd like to point to the plaque down the hallway past the coat room here at the State House; a quote by Dorothy Canfield Fisher - “The Vermont tradition grapples energetically with the basic problem of human conduct... how to reconcile the needs of the group, of which every man or woman is a member,... with the craving for individual freedom to be what he really is." We all have needs to be addressed, and it takes a community to answer them. After all, I came here today to speak about Deafness, but that would just be a rivulet in the mountain. 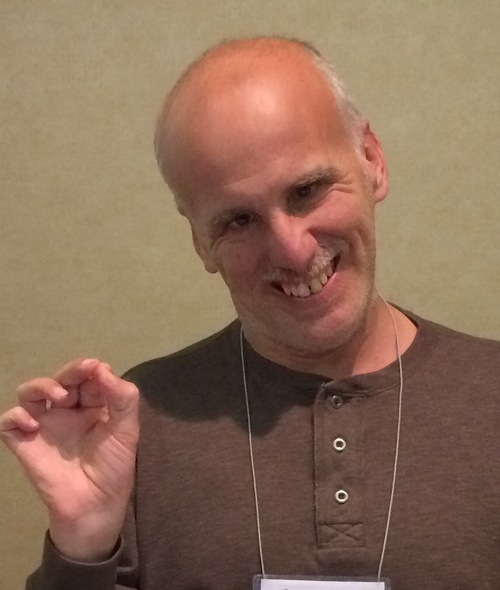 I wish to speak about the whole paradigm of “disability”. That word has never sat well with me for my entire life. I must also admit that I felt like a burden to others for such a long time. Now I ask, must I be defined by what I lack, rather than what I can bring to the world as a unique individual? Once we gain that heart-understanding, we can empower ourselves to focus on what lessons we can teach each other. Being Big “D” - Deaf”, a cultural noun, as opposed to a small “d”, a describing verb, indicates that being Deaf is a disability-induced culture, we have taken the loss of our hearing and turned it into the gain of new languages and cultures of the deaf all around the world. This is a human response of adaptation, which I believe is a beautiful expression of our basic impulse to create and thrive. The pathological attitude has led us to believe a story that we are less and defined by our lack of “parts”. Nothing could be further from the truth. As Goethe once said, “The whole is greater than the sum of its parts”. We should not allow our politicians, experts, and society as whole define us by our differences. Instead we need to share our diversity because that is what makes the world an interesting place to live. May we share our adversity to find opportunities that open hearts and make the world a brighter place. So, when I see the word “disability” I see the word “difference”. I ask that we leave this room today and think about how we really want to define ourselves and our world?"